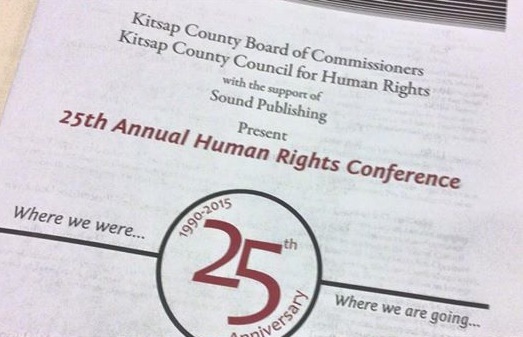 The conference is planned each year by the Kitsap County Council for Human Rights, and for the last few years has been at the Kitsap County Conference Center on the Bremerton Harborside. This year’s conference included Keynote speakers Leonard Forsman (Suquamish Tribal Council Chair) and Cheryl Nunez (Olympic College’s first vice president for diversity and equity). The varied and insightful breakout sessions included topics on racism, youth violence and suicide, addressing local sexual exploitation, and making communities safe for transgender and gender nonconforming people.